Ternullorealestate.com blog spot - Home prices next 5 years. 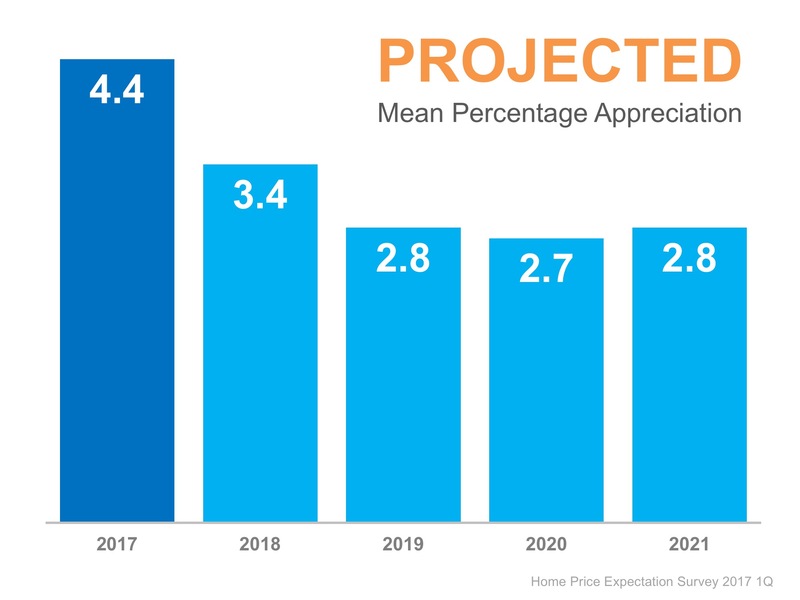 Home values will appreciate by 4.4% over the course of 2017, 3.4% in 2018, 2.8% in 2019, 2.7% in 2020, and 2.8% in 2021. 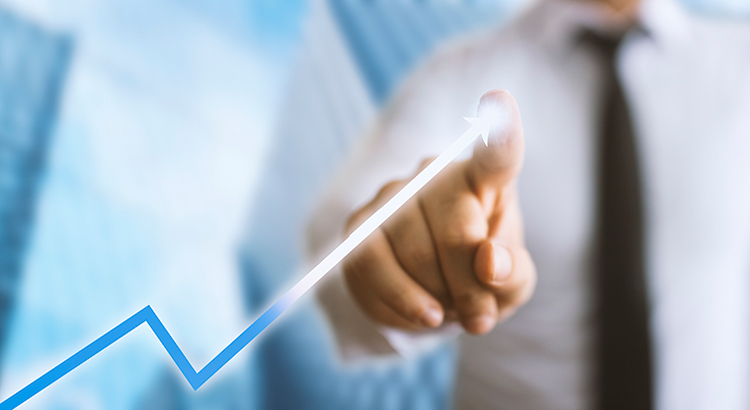 That means the average annual appreciation will be 3.22% over the next 5 years. 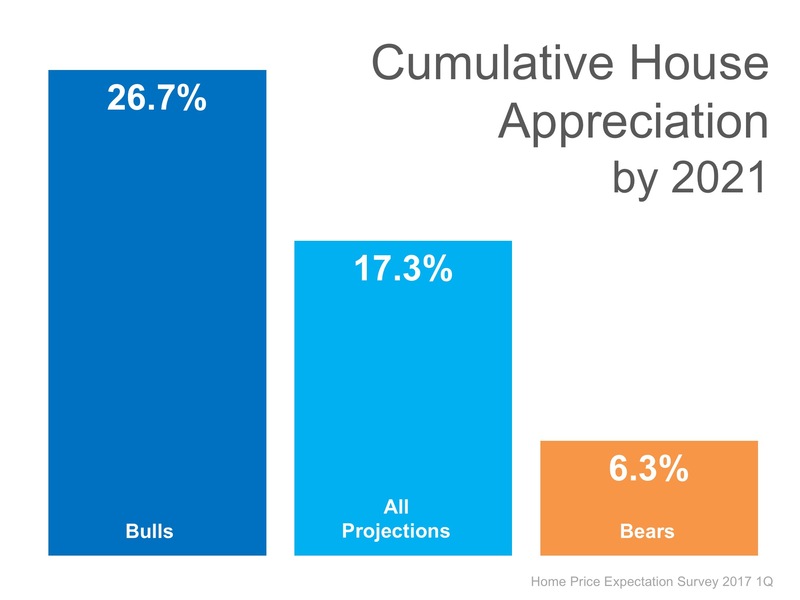 The prediction for cumulative appreciation fell from 21.4% to 17.3% by 2021. The experts making up the most bearish quartile of the survey are projecting a cumulative appreciation of 6.3%. Individual opinions make headlines. We believe this survey is a fairer depiction of future values.